This Museum was exquisitely built in the 1920s and it is now one of the largest Japanese-style wooden buildings in existence in Taiwan. 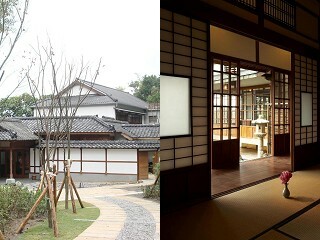 During the rule of Japan, it was used as a club for military officers and was once occupied by Kamikazes. After Taiwan was returned to the Republic of China, it became the Jiashan Hostel of the Ministry of Foreign Affairs. Now it is privately owned and used to exhibit artifacts and antiques. The name was later changed to Beitou Museum.